The next Kids Should Play event is all set, and it’s coming up quickly! We’re taking over the climbing wall at the Cumberland Rec Center this Friday the 26th, and it’s completely free. 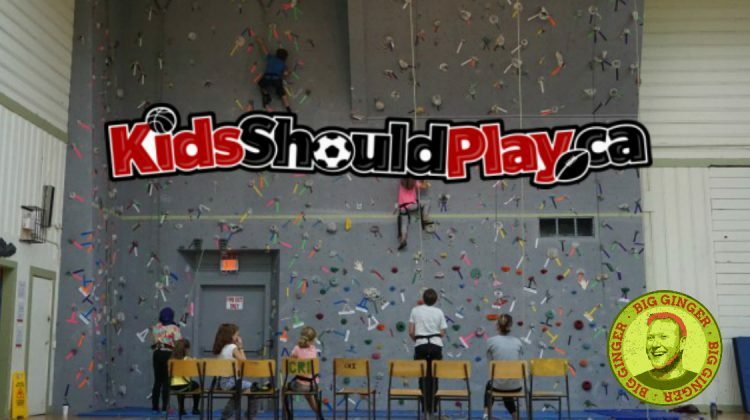 Kids Should play has been set up to bring the community together. The idea is to make sure every kid is able to go out and have fun and be a kid, even if their family can’t afford it. They’re supposed to be some of the best years of our lives, and how much money you have in your bank account shouldn’t be a determining factor over how much of a childhood you have. Now there are only a couple spots open for Friday’s event, but we’d love to help. It’ll be fun, safe, friendly and FREE… but you gotta sign up right now! Go to Kids Should Play to enter your kids, OR nominate someone else who could use our help. See you Friday night!